Ballymaclary is a townland in the parish of Tamlaghtard also known as Magilligan. 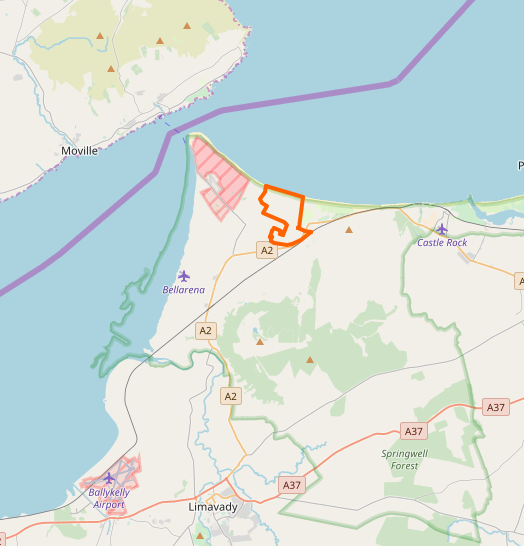 It is a coastal townland of 1.2 square miles named after a local family of the name McClarey. Magilligan was historically church land. 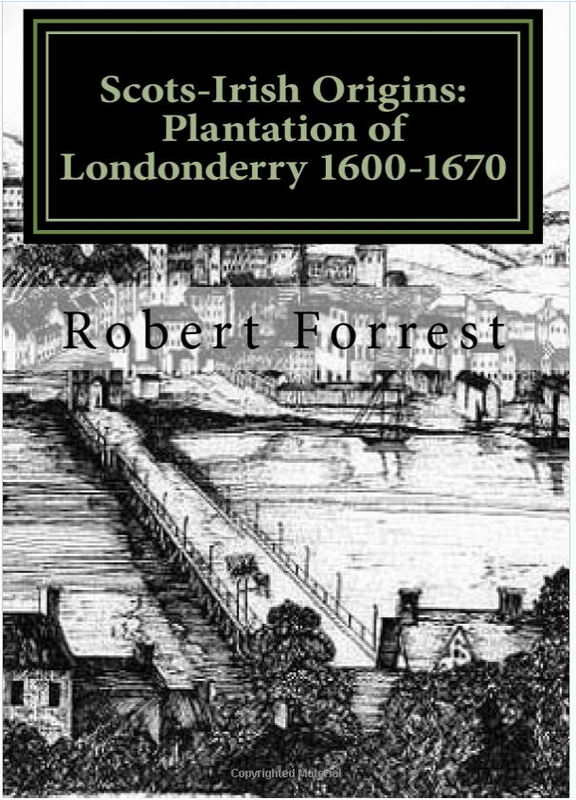 At the time of the plantation the Gage family of Northampton got a long lease from the see of Derry. The seat of the family of Gage was Bellerena (formerly Ballymargie). 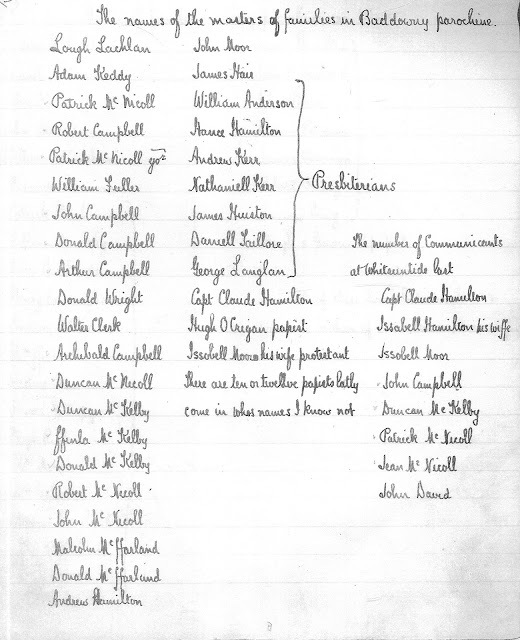 The following list shows the variation in spelling of the townland through the years 1654-1806. 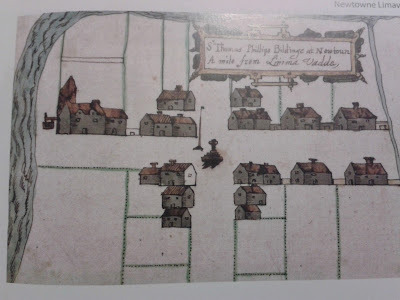 In the mid-eighteenth century the townland became part of the Bacon estate (probably through intermarriage with the Gages). 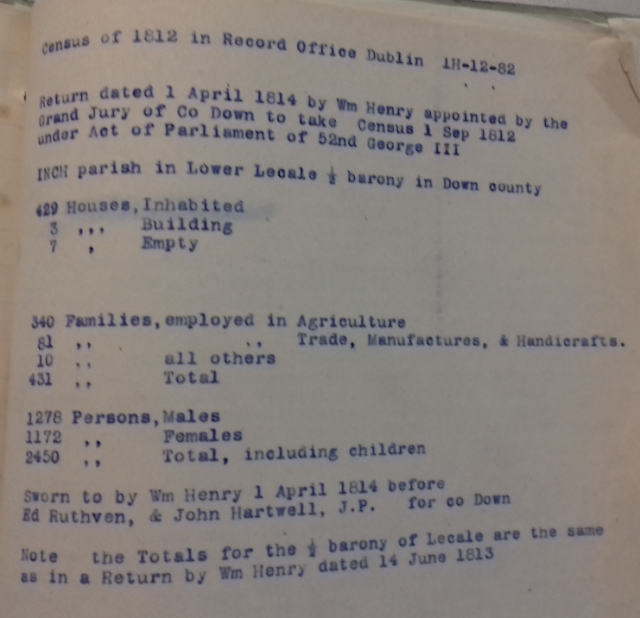 At various times families of the name Cust, Reynolds and Law had interests in the townland as revealed by a number of registered deeds. Around the year 1800 Ballymaclary was subsumed into the Hervey-Bruce estate.